Where Roots And Wings Entwine: Sprucing up our garden - review. Sprucing up our garden - review. 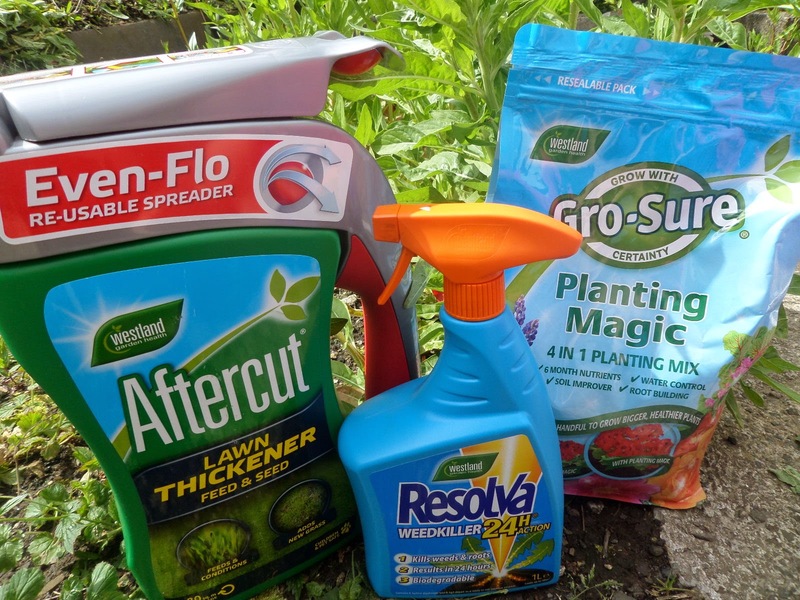 Over the past couple of weeks I have been attempting to spruce up our garden with a little help from a number of garden products sent to us courtesy of Westland Garden Health. 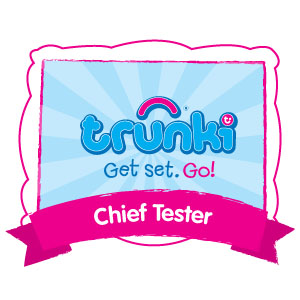 So how did I get on? Did the 3 products live up to their claims? Whilst our garden is still far from being a beautiful utopia the products have helped improve the condition of our garden as well as motivate me to keep being green fingered to get even more positive results. 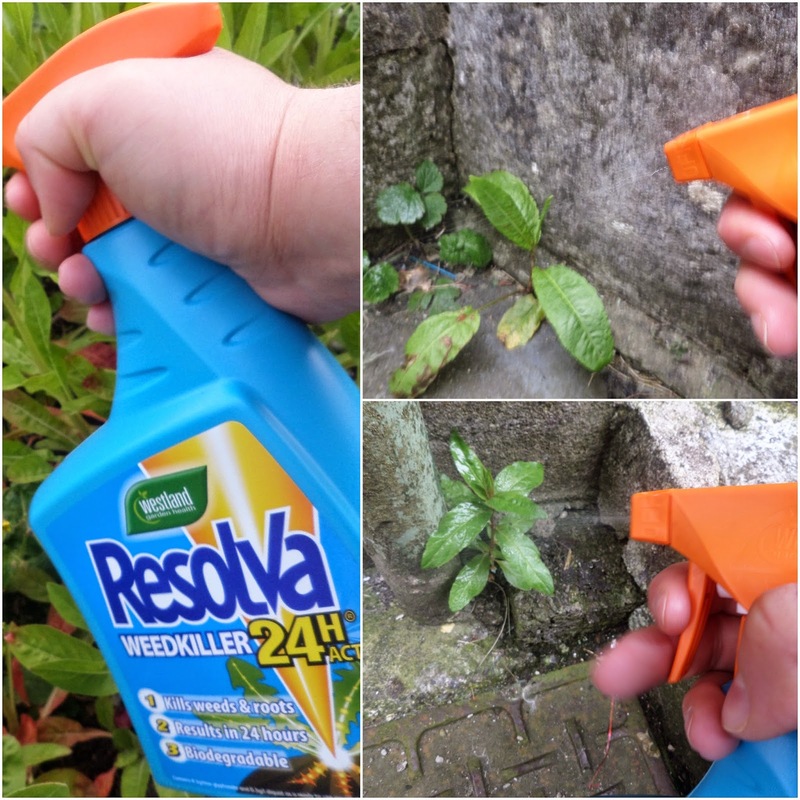 The first product I put through its paces was the Resolva 24H RTU in an attempt to rid our garden of the flourishing weeds. As the name suggest it is a week killer that using supposedly kills weeds and their roots within 24 hours. It is extremely easy to use, you simply point and spray onto weeds but be careful and only spray what you want gone because if you accidently spray a plant, flower or your lawn the weed killer will kill it. 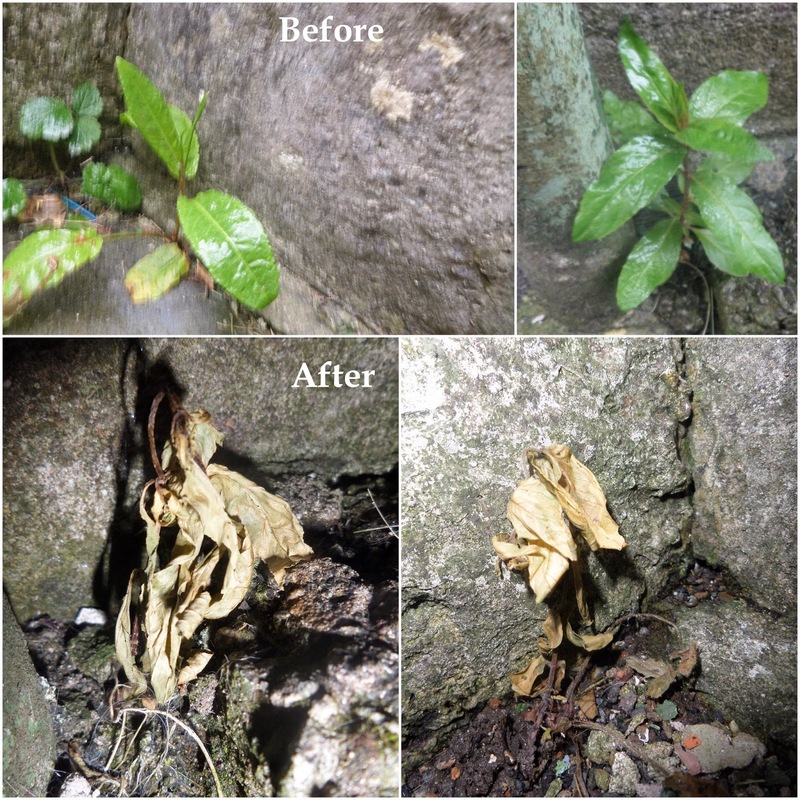 Apparently the weed killer’s biodegradable formulation means that you can replant in the treated area after the product dries and the weed is killed and removed without the worry of harming any new plants or flowers that are planted after the weeds are eradicated. 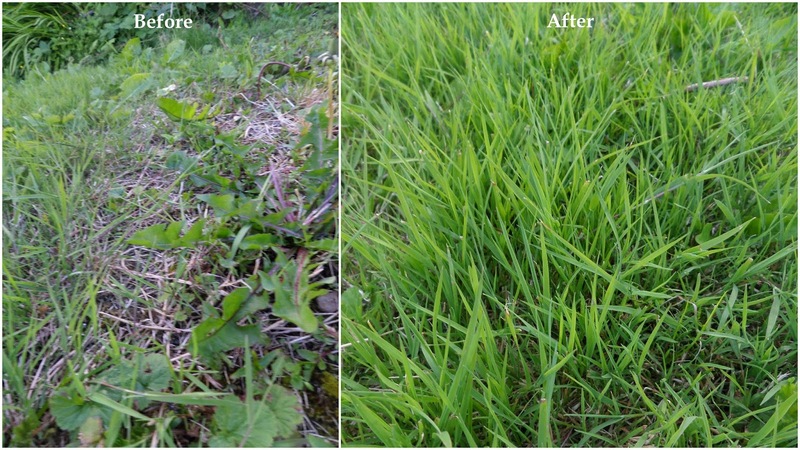 For best performance the weed killer should be applied to actively growing weeds. So that the weed killer is sprayed on to the targeted weeds and not on to any neighbouring plants or flowers that you do not want to harm it is best to apply on a calm day. According to the instructions the weed killer needs to stay for 6 hours for optimum effectiveness, so if it rains within 6 hours of applying the weed killer you should re-apply for the weed killer to work at its best. 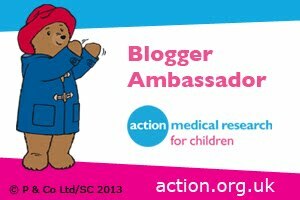 A very important warning you have to take into account is the significant matter of safety for children and pets. The weed killer is not safe so make sure you take all precautions when using it and do not allow your children or pets near the treated area until the weed killer has totally dried and the liquid is absorbed into the weed, after which it is supposedly safe. 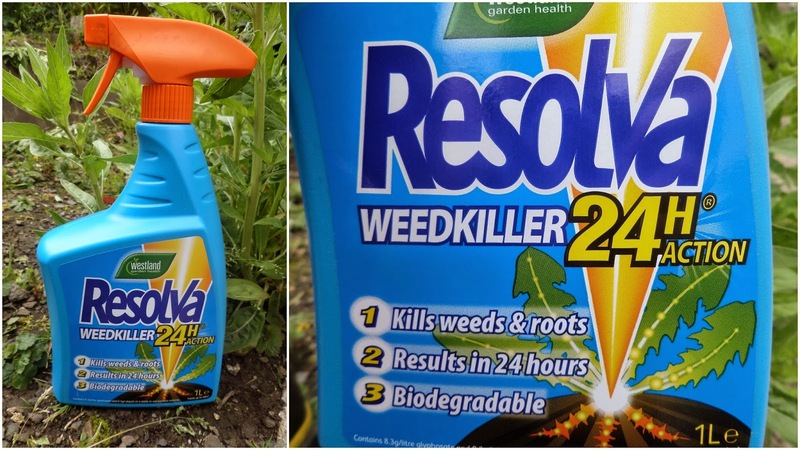 I am very pleased to say that the Resolva 24H Weed Killer works really well and has killed our jungle of weeds, even bringing down large weeds that I doubted would be affected by the weed killer. The handy spray bottle has been particularly useful in getting rid of weeds along paths and in cracks and crevices on steps and along walks. I would definitely use this product again especially as it is so effective, requires no hard work and is very easy to use. 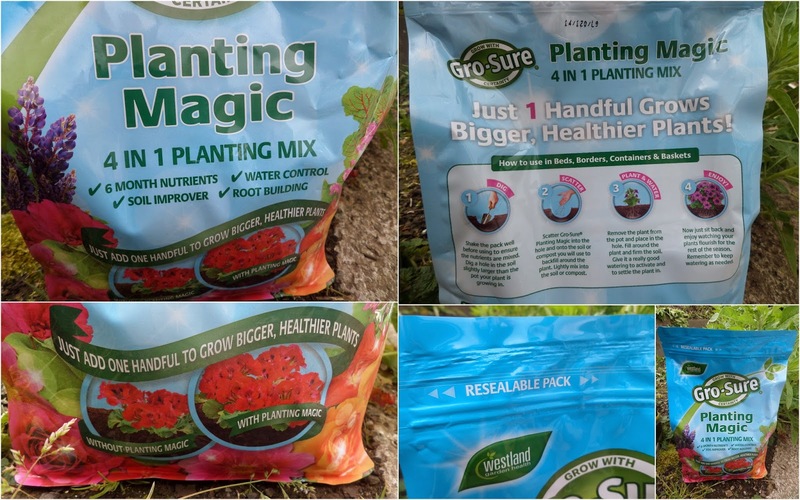 The Gro-Sure Planting Magic is described as being a 4 in 1 planting mix, which with just 1 handful of the Planting Magic mix helps your plants to grow bigger, stronger, healthier and more beautiful than ever. With Gro-Sure Planting Magic you can Grow With Certainty. Gro-Sure is an innovative mix of nutrients, soil conditions, root builders and special moisture controlling granules that helps ensure guaranteed planting success. Thanks to the fact that the planting mix contains 6 months nutrients it will help plants flourish for a whole season and the added soil improvers and root builders will help improve the soil so that plants establish well and grown strong and healthy. The clever water pockets help give plants the best conditions to thrive as they hold their own weight in water which helps control over/under watering issues. 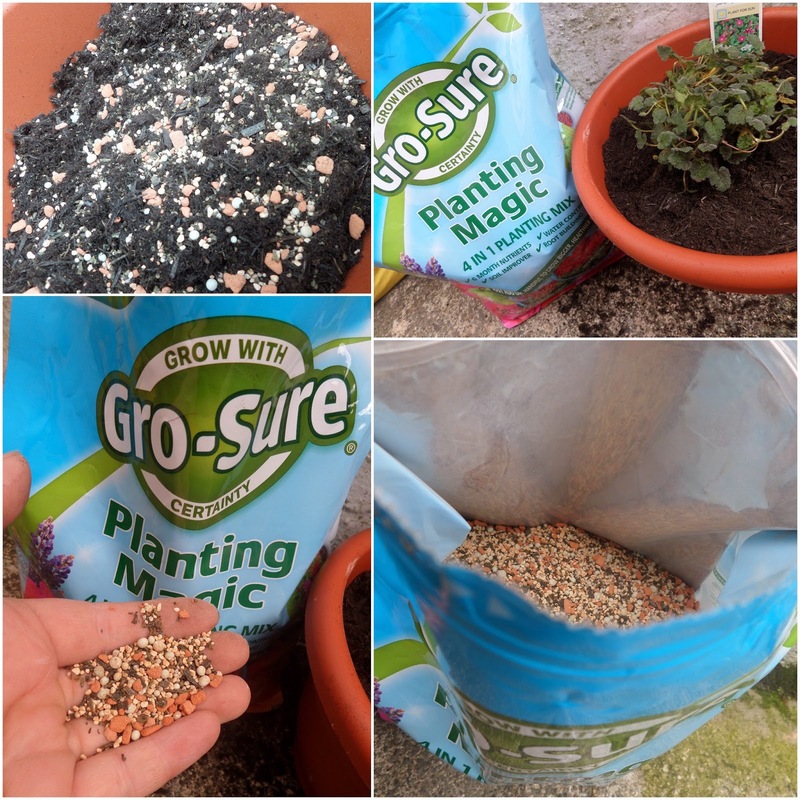 The Gro-Sure Planting Magic is really use to use, you simply add the nutrients mix into your soil/compost and let it do its magic, helping your plants and flowers bloom and grow into healthy and strong plants. The amount of mix you need to use is dependent on the size of your plant, for an average sized plant a handful of mix is adequate. 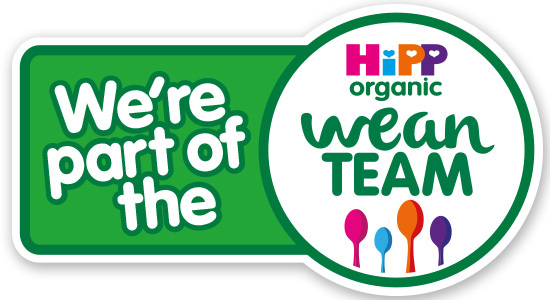 Helpfully instructions and measurement details can be found on the back of the packet so that you know you are giving your plants the right amount of magic mix to help them thrive successfully. Not only is the packaging great because it has clear instructions on it but the packaging also features a very handy re-sealable top which means that you can seal the mix safe inside the packet when not in use and you don’t have to worry about the mix spilling out. Did the Gro-Sure Planting Magic work its magic and help my plants grow healthy and strong? Whilst I can’t compare my plant’s growth to the same plant that has not had the benefit of the planting mix to really scrutinise the effectiveness of the Planting Magic mix, I do like knowing that the plant is benefiting from the goodness of the mix and that thanks to the water pockets I will hopefully not over or under water the plant. As it has only been a short period of time since I have used it I cannot say for sure whether the planting mix will help my plant grow strong and stay healthy in the long term, in particular whether it will still be thriving in 6 months’ time but for now the plant looks healthy, strong, green and is growing well. 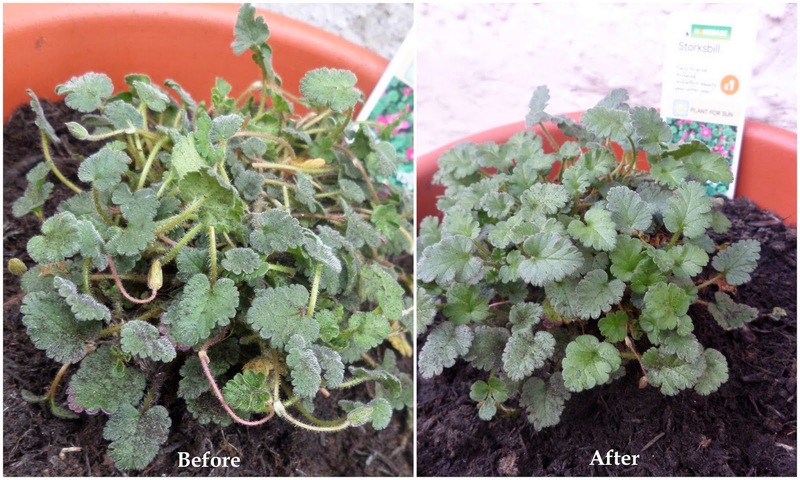 I will be using this product again especially because this plant is still alive, which based on my track record of plants commonly struggling to grow thanks to my inexperienced green fingers is a huge success that may be thanks to a little help from this magic planting mix. The After Cut is a lawn thickener that allows you to seed and feed your grass, adding new grass to your lawn as well as conditioning and nourishing the grass to help green your grass so that you have visibly greener and healthier grass in 3 days. Thanks to the lawn thickener mix your grass gets some TLC which helps your grass flourish and grow healthy and green. For best results the lawn thickener should be applied to the lawn after moving and should be applied every 3-4 weeks during February to September when the grass is actively growing. The After Cut Lawn Thickener comes with easy to understand instructions clearly provided on the packaging; including where and when to use, how to use, what to expect and general advice. 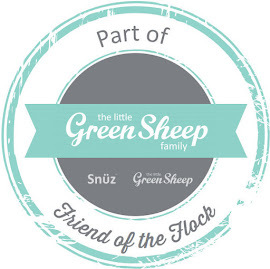 According to the instructions the After Cut Lawn Thickener is children and pet safe, and as such children and pets do not need to be excluded from the treated area. The packaging also highlights a warning that the product can cause staining on paths and tiles if not brushed(not washed) off immediately and that you should not walk on the treated lawn as transferring the granules on your shoes to hard/absorbent materials such as paths and carpets will cause staining. 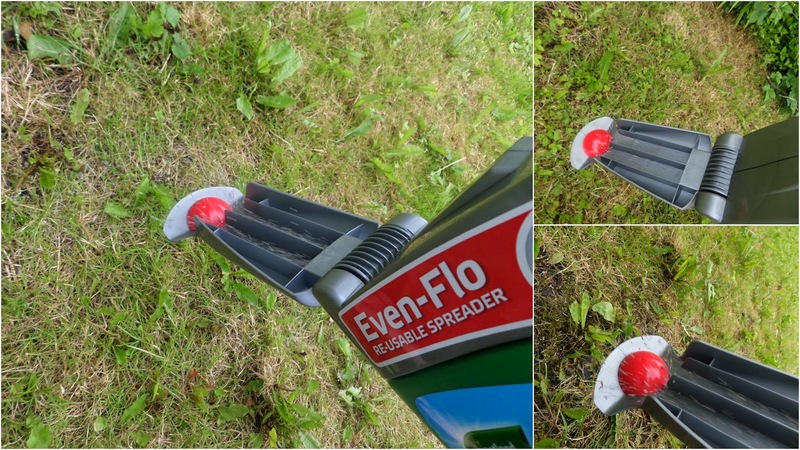 The After Cut Lawn Thickener comes with an innovative Even Flo re-usable spreader that allows you to treat your grass without handling the product with the Even Flo feature ensuring that even coverage and the correct amount of lawn thickener is applied if you follow the instructions and walk at a steady pace, which helps to prevent lawn damage from overdosing on fertiliser. However to begin with I struggled to get the handle off but thankfully after a little force the handle swivelled to the side allowing me to lift it off and was easy to replace and secure once more ready to use. To use the After Cut Lawn Thickener you hold the spreader by the handle and flip open the spout. Holding it at your side you tilt the product until granules start to flow then start to walk at a steady pace up and down your lawn in even strips, letting the granules drop on to your lawn. After spreading the lawn thickener on your lawn for optimum performance the lawn needs to be watered so that the granules begin to break down and release nutrients into the soil. The grass seed in the mix works its way to the soil surface and quickly germinate to create a thicker lawn. After using the After Cut Lawn Thickener I am pleased to say that the grass is greener and thicker. This product has given our lawn some much needed TLC and the yellowing, patchy grass is no more. The only thing making the grass not look that good is the weeds scattered amongst the grass and after the success we have had with the After Cut Lawn Thickener I will be getting a pack of After Cut All-In-One Even Flo Spreader to see if we can get rid of the weeds on our lawn whilst conditioning and nourishing the grass. 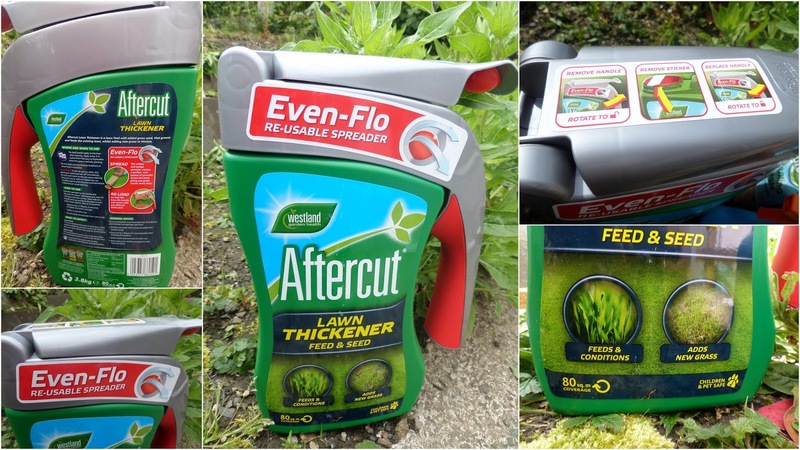 I will definitely be using the After Cut Lawn Thickener again and again to condition and nourish our lawn to ensure it is looking as lush and green as it is now thanks to the After Cut Lawn Thickener, especially as I am impressed with how well it performed and how easy it was to use. Thanks to Westland’s garden care products we are one step closer to our beautiful garden utopia and now our garden space is looking loved and cared for.